Now that the hype has died down, the benefits of big data are no longer in question. Mounting research shows that organizations that have embraced big data and analytics are reaping real returns. In fact, McKinsey & Company tells us that companies that have adopted data-driven strategies enjoy 5 percent higher productivity and 6 percent higher profits than their competitors. 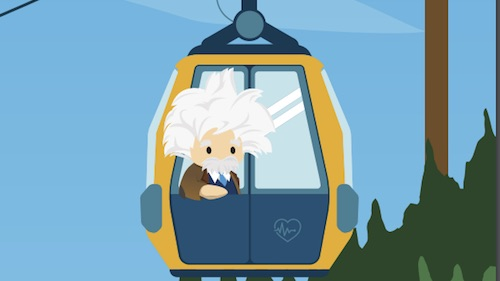 And, a recent McKinsey analysis of more than 250 engagements over a five year period revealed companies that rely heavily on data for making marketing and sales decisions can boost their ROI by 15–20 percent. We live in a digital era, so our world is built on information. Data of all kinds is pouring in from everywhere these days, just waiting for someone to collect and analyze it. But while data was at one time structured and fairly easy to process, the sheer volume of information now available has resulted in data that is raw, unstructured, and complex. It flows constantly from social media interactions, smart technologies, sensors, gauges, mobile devices, videos, texts, and countless other sources. Since much of this data is generated through personal habits, behaviors, and activities, it contains valuable and actionable insights that can inform decisions and help companies formulate more targeted and personalized business strategies. Fortunately for businesses, collecting, managing, and analyzing massive amounts of unstructured data are what big data analytics platforms do best. Before big data came into existence, corporate data pertaining to various departments was traditionally stored in those departments, creating data “silos” that severely hampered internal communication. Put simply, the left hand didn’t know what the right hand was doing. Now, thanks to big data analytics platforms, all corporate data can be shared across every channel within an organization. This means that, for example, the marketing department has access to data from the sales department, and vice versa. As a result, each department can work collaboratively, sharing data and insights that can be used to formulate strategies that are more unified and better focused on achieving corporate goals. In addition, once silos are broken down, big data analytics can bring different data sets together in new ways. This results in the creation of deeper insights that serve the needs of the organization and its customers in ways not possible with traditional analytics tools. Sales organizations can use big data analytics to gain a more accurate picture of each step in the sales funnel. Using key metrics, sales managers are able to keep track of the number of opportunities or leads in the funnel, and also determine the arrival or acquisition rate of these opportunities. They can also determine the total possible value of every deal in the funnel at any given time, and how long prospects are in the funnel before they are acquired, along with the average percentage of closes—or “win rate”—that the sales team moves through the funnel. Metrics aside, the real benefit of big data with respect to the sales funnel is that data insights can be used to drive decisions regarding which prospects to contact, when and how to do it, and which channels work best for prospect outreach, forecasting revenue, and accurately measuring sales rep success. In addition, machine learning can be applied to the data to predict which leads have a high probability of converting, qualifying, and ultimately closing. The end result is that organizations that take advantage of big data insights are able to more efficiently invest their time and effort in those leads most likely to become profitable customers. Big data helps organizations to better qualify leads, ensuring a better customer experience and higher customer retention after the close. And while big data analytics is most often associated with B2C organizations, it’s also an effective tool for B2B lead generation and qualification. Big data tools allow businesses to collect massive amounts of raw, real-time customer data. But the major strategic benefit lies in the ability to analyze that data, using predictive models and machine learning to gain insights into future customer buying behaviors—insights that can be used to inform business strategies and optimize business outcomes. Predictive modeling is a common practice among businesses that use loyalty programs, analyzing past behaviors to tailor coupons and other promotions and offers in order to maximize the odds of a future sale. One example of using predictive analytics to optimize business outcomes can be found in the e-commerce juggernaut we know as Amazon.com. Amazon uses predictive analytics to suggest other items for purchase, with their, “Those who bought (blank) also bought (blank)” strategy. In fact, Amazon is so confident in the power of predictive analytics that it recently patented a predictive algorithm it hopes will soon make it possible to actually ship products to customers before they buy them. As with any new business tool, adopting big data necessitates change throughout an organization. After all, with so many new processes, and so much more information to take into account, employees and leaders have to revamp their current strategies to take advantage of the benefits that big data has to offer. Those businesses that have been the most successful with their big data deployments are those that have embraced these changes, transforming their organizations so that the insights gained through big data analysis can actually make a difference by becoming actionable. However, such a transformation can only take place when all stakeholders in the company are committed to data-driven decision-making. For that to happen, leaders must be willing to invest significant amounts of time and energy to make sure that all managers across the organization are aligned with the company’s big data mission 100 percent. Additionally, leaders bear the responsibility of ensuring that those who work underneath them are aware of the roles that they play in the larger company strategy. A 2012 survey suggests that as many as 86% of employees have no clear understanding of overall company strategy. 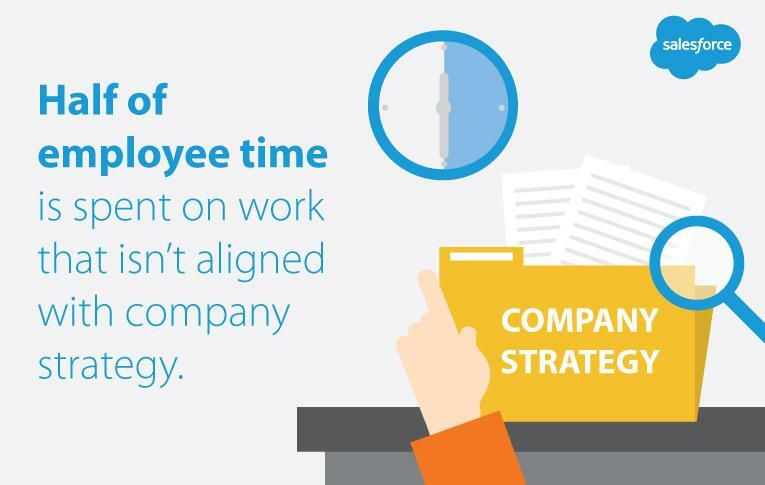 At the same time, approximately half of employee time is spent on work that is not aligned with company strategy. In adopting big data as a strategic tool, be sure to include your work force in any strategic planning, so that they can not only realign their own efforts to better implement new policy, but also so that they can offer their own unique insights during strategy development phases. Big data has emerged as a powerful tool that organizations can use to leverage data-driven decision-making for better strategic planning. Those organizations that fully commit to big data, investing in the necessary IT architecture, infrastructure, support, and literacy needed to collect and analyze massively large data sets will gain competitive advantage in their various strategies, and enjoy sustainability and profitability for years to come. Reasons to think beyond Excel? We can name four. Download the free e-book to learn more.